As mentioned in earlier posts, we bought a tractor last month. Does that make us real farmers now? I would never have thought that owning a tractor would be what made us farmers but, somehow, having that thing in the garage does seem to make it more real. It is not your usual Canadian tractor but is an Italian made walk-behind BCS tractor (the 853 model). We chose a walk-behind over a conventional tractor because of its lower cost and its great versatility. It is powerful enough to run any one of a considerable number of attachments which one can purchase. We have acquired four attachments for it that we think will be useful in our situation: a dozer blade (can be used with snow, gravel, soil, manure), a rotary plow (apparently better for the soil than a tiller and good for breaking old pasture), a flail mower (for mowing grass, weeds and small brush) and a wagon. Given the weather, we have only used the dozer blade and the wagon thus far. We have been pleased how it works but, given the icy conditions, know that it will work even better when the ice chains that we have ordered arrive. We have only had one snow fall of any consequence thus far but the dozer blade worked quite well in clearing the driveway. It will be even easier once the ice chains have arrived. 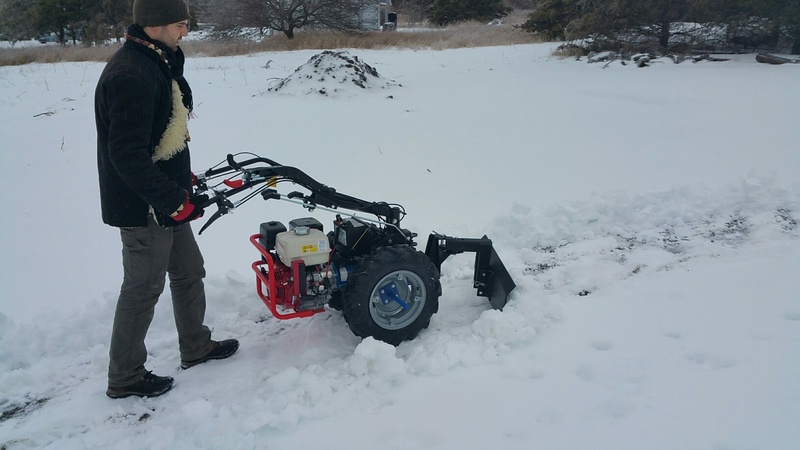 Snow blowers are quite popular here and a very good one can be purchased with the BCS tractor. We will wait and see if we need one or whether the dozer blade will be adequate. The wagon isn’t really large but can carry over 1,200 pounds and should be useful for hauling a variety of things. Andrew and I hauled some firewood with it today. The tractor is plenty powerful enough for that but conditions were icy so we need to wait for the chains. 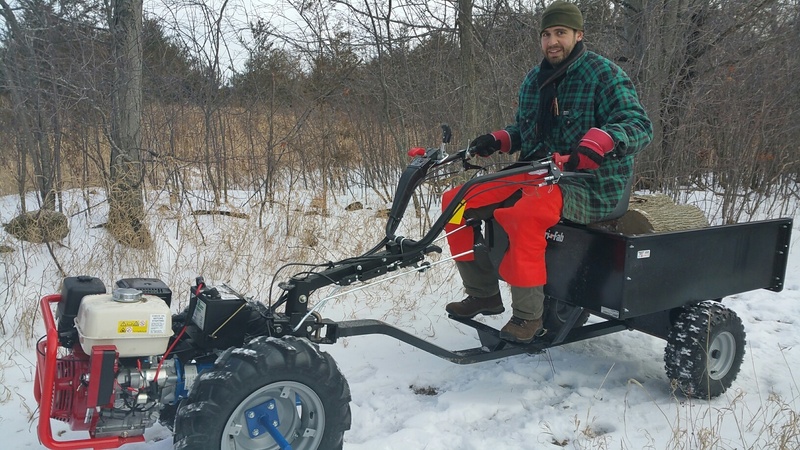 Tractor enthusiasts will need to wait until spring for an update on the working of the plow and flail mower.